What's so special about the Russian Church in Sofia? The Russian Church in SofiaHome » What’s so special about the Russian Church in Sofia? You know this church – you’ve seen it on so many pictures. It is a gorgeous building in the very heart of Sofia, standing there to remind us (and our guests) that Bulgaria and Russia have a common past. But this isn’t what makes the church so special. Nor are the tulips, nor its golden domes (although they do add to its charm). There’s a reason which makes Bulgarians from all over the country go there just to leave a letter addressed to a person who is no longer amongst us. But we’ll get to this a little later. This church, which we all recognize as the Russian, is actually named after St. Nicolas and the exact name is Church of St Nicholas the Miracle-Maker. It is built on a piece of land owned by the Russian embassy in Sofia and was aimed to serve only the Russian immigrants in Bulgaria. But why did they need a separate church? Aren’t Russians Christian Orthodox just as Bulgarians? In case this is what you’re thinking, then you’re absolutely right. The problem was that Bulgarian communist party tried to erase Christianity from the hearts of Bulgarians (yet another thing the regime failed at). I still have no idea what their motivation was, but I do know that people were not allowed to attend masses, have their children christened, nor even have a priest on funerals. At some point, things became so bad, that on all religious holidays churches were surrounded by the police to ensure no one walks in. During that night we spent in the Rila monastery recently, we learned that for about 10-12 years there were no monks in the monastery and only a couple of people took care of the building. We can thank the United Nations for literally forcing the communist morons in Bulgaria to have monks return to the monastery. It was all because of tourism, but that’s another topic. Back to the Russian church. Since the friendship between Bulgaria and Russia was especially cherished during communism, Russians had the power to demand a church for their compatriots living here. Luckily, they did a fine job and now we have this gorgeous building (which was initially supposed to be only a chapel). Serafim managed to convince the communist party to allow him to collect donations. You probably do not understand how incredible of an achievement this is, but when a political party is trying to erase the existence of something (in this case Christianity), convincing them to allow you to spread information about it is a heroic thing to accomplish. And if you’re wondering what he needed the money for, well, he was taking care of refugees some of which he hosted in his own home. He cherished what his new home country had, instead of trying to enforce his point of view. 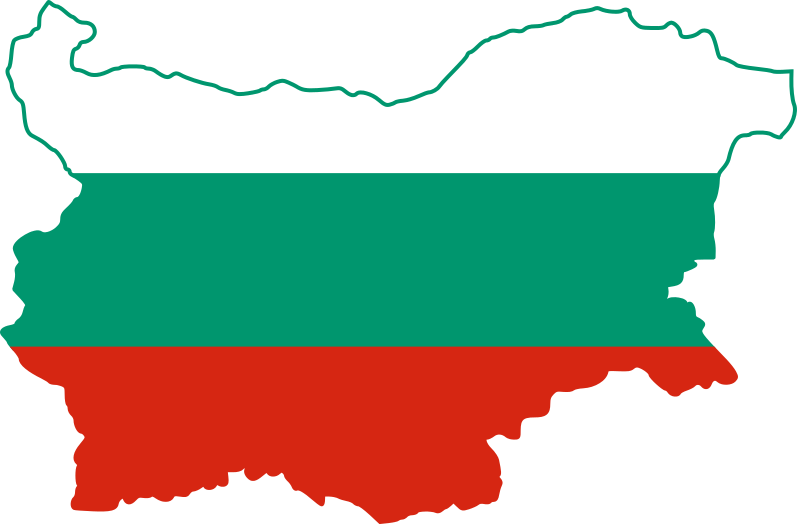 I communicate with many foreigners in Bulgaria and although they all claim to respect and love what the country has to offer, I can often see how they try to try to enforce their own understanding of things. This is why I was astonished when I found out that the minute bishop Sefarim stepped foot in Bulgaria, he dedicated a lot of his time on a research of the life of St. Ivan Rilski (St. John of Rila). He is the one, to whom we nowadays owe a lot for discovering details about the life of one of the most incredible men in our history. He loved people with his whole heart. It may not sound like a big deal, but loving people is perhaps one of the hardest things. During his life, Bishop Serafim was often heard saying “Our brothers we should see as angels, and their sins – as diseases”. He was convinced that a wrongdoing doesn’t make a person bad and was able to forgive everyone. So, why are people writing letters to Bishop Serafim? We often go to the Russian church and every time we do, we write a letter to Bishop (now Saint) Serafim. Sometimes we just ask him to thank God on our behalf for all the blessings in our lives. A while ago, however, we were going through some hard times. It all seemed absolutely lost, until one day I wrote yet another letter and dropped it in the box next to the grave of St. Serafim in the crypt of the Russian church. I d not want to go into details, but the most unbelievable turn of events happened afterward and my wish was granted to me. So, if there is anything you really strongly wish for, if you have a sick relative who needs help, go to the Russian church and write a letter.